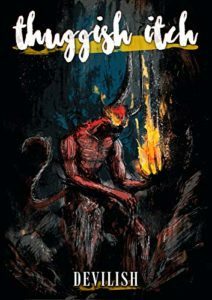 J ust in time for Halloween, Gypsum Sound Tales has released Thuggish Itch: Devilish, a collection of stories about demons and devils. In it, you’ll find my story “Numerology’s Make” along with twelve other unsettling tales. It’s available right now in paperback! The Kindle version will be available on November 1st.